Humans have been at war with rats since time immemorial. Ridding ourselves of their nuisance behavior is increasingly unlikely, and in fact, some scientists believe that, following human extinction, rats will be poised to take our place as the most dominant species on earth. Despite being thwarted repeatedly, we make tireless attempts to control rat populations. One major weapon in our arsenal is poison, and one of the most popular rat poisons was derived from a plant with a formidable bulb. Urginea maritima (known synonymously as Drimia maritima, among other Latin names) is a geophyte native to the Mediterranean Basin, where it survives the hot, dry summer months by going dormant, waiting things out underground. 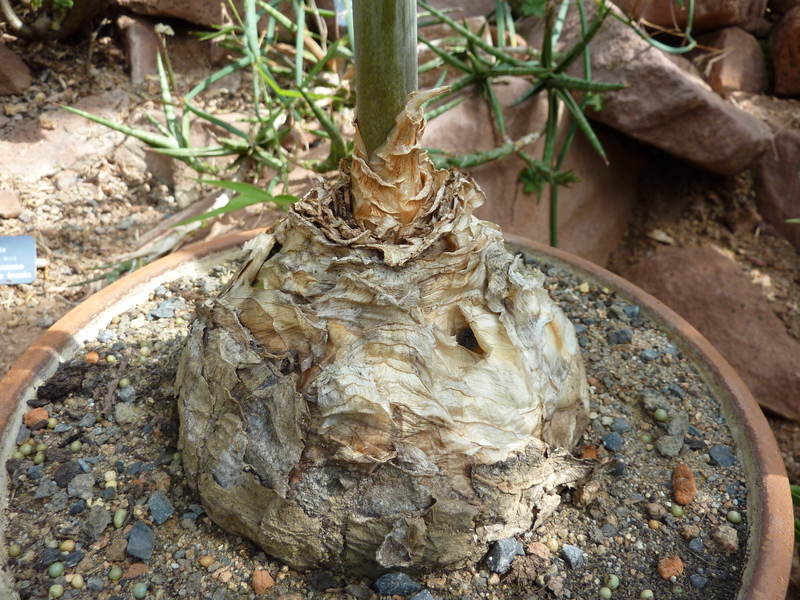 Growth occurs in the cooler months, its bulb expanding annually before it finally flowers late one year after reaching at least 6 years old. Its flower stalk rises to as tall as 2 meters, extending heavenward from a bulb that can weigh as much as a kilogram. 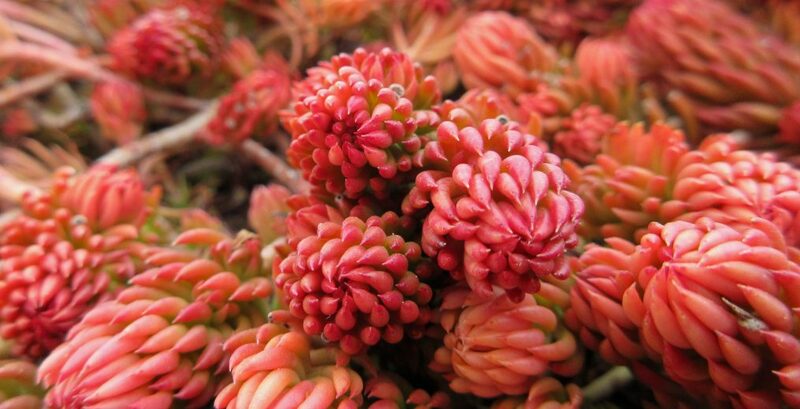 Its inflorescence is long, narrow, and loaded with small flowers that are generally white, but sometimes pink or red. Urginea maritima is commonly known as red squill or white squill (and sometimes simply, squill). Other common names include sea onion, sea squill, and giant squill. 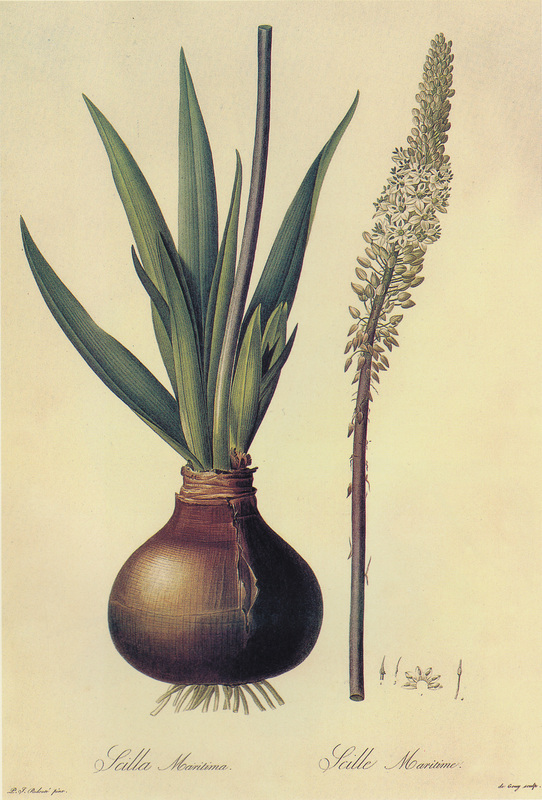 It is related the squill referred to in the Harry Potter universe, which is known botanically as Scilla. However, plants in the genus Scilla are much more dimunutive and generally flower in the spring rather than the fall. Like red squill, Scilla species are known to be poisonous; however, they don’t have the reputation for producing deadly rat poison that red squill does. Like so many poisonous plants, red squill has a long history of being used medicinally to treat all sorts of ailments. As with any folk remedy or natural medicine, a doctor should be consulted before attempting to treat oneself or others. A 1995 report tells of a woman who ate red squill bulbs to treat her arthritic pain. She exhibited symptoms characteristic of ingesting cardiac glycosides – the toxic compound found in red squill – including nausea, vomiting, and seizures. She died 30 hours after eating the bulbs. Toxic compounds are found throughout the plant, but are particularly concentrated in the bulb (especially its core) and the roots. Toxicity is at its highest during summer dormancy and when the plant is flowering and fruiting. The compound used to poison rats is called scilliroside. Bulbs are harvested in the summer, chopped up, and dried. The chips are then ground down to a powder and added to rat bait. Results are highly variable, so to increase its effectiveness, a concentrate can be made by isolating the toxic compound using solvents. 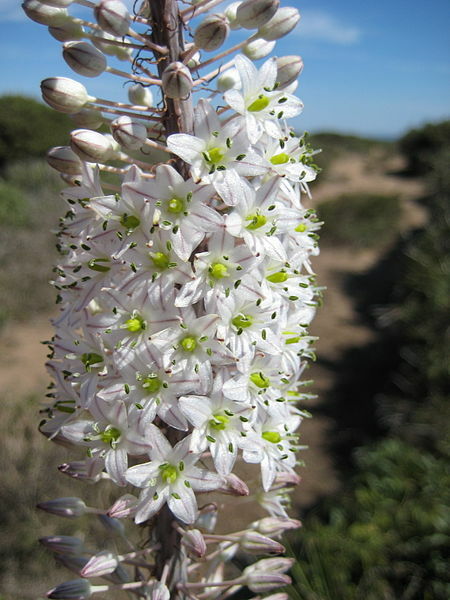 Red squill was introduced to southern California in the 1940’s as a potential agricultural crop. The region’s Mediterranean climate and the plant’s drought tolerance made it ideal for the area. The bulbs can be grown for manufacturing rat poison, and the flowers harvested for the cut flower industry. Breeding efforts have been made to produce highly toxic varieties of red squill for rat poison production. Vomiting is key. Ingesting scilliroside induces vomiting, which helps expel the poison. However, rodents can’t vomit (surprisingly), which is why the poison is generally effective on them.